Last weekend I had my tightest packing challenge ever: a weekend in the Italian Alps with just a small backpack for my luggage. 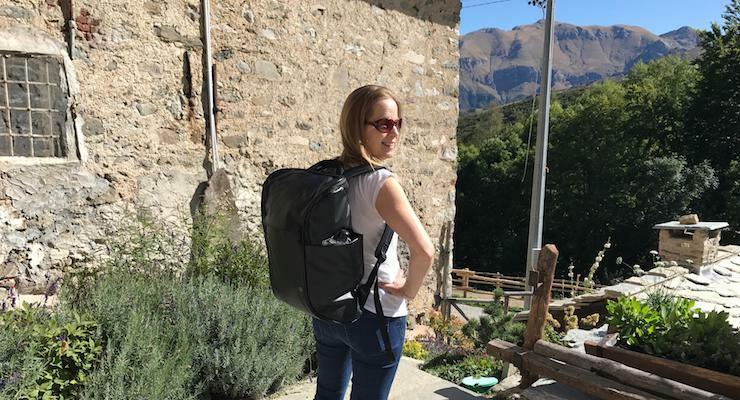 I was in Italy with my husband to celebrate a friend’s birthday, and I was trying out a new bag which I’d been sent to review: a Booq Daypack. I have to say that when I first saw the bag I didn’t think that I’d manage to fit everything in it that I’d need for my trip, especially as we were flying with Easyjet and were allowed only one item of hand luggage. But I was wrong. This Booq Daypack measures 46 x 32 x 15 cms and the main inside section has a capacity of 19 litres. It weighs 946 grams when empty (according to my kitchen scales). 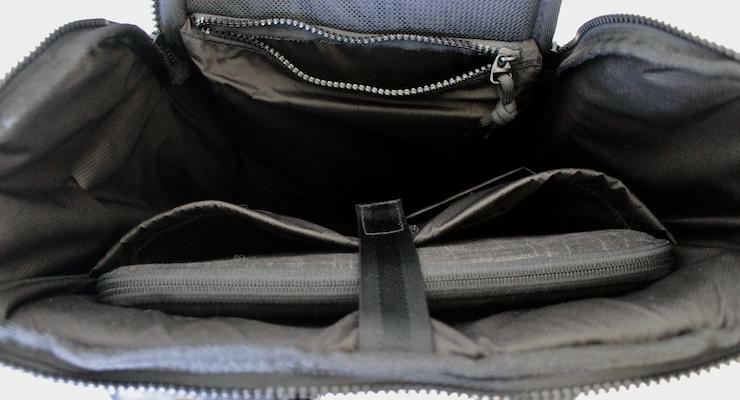 It was designed to be used as a laptop bag and has a padded laptop pocket as well as a large pocket with a zip and two other pockets inside the main section. I found that I could fit most of the stuff which I needed (listed below) inside the bag, but there are also two generous expandable side pockets and a large pocket with a zip on the outside of the bag, and I used those for things like an umbrella, a book to read on the flight and my portable phone charger, adapter and lead. 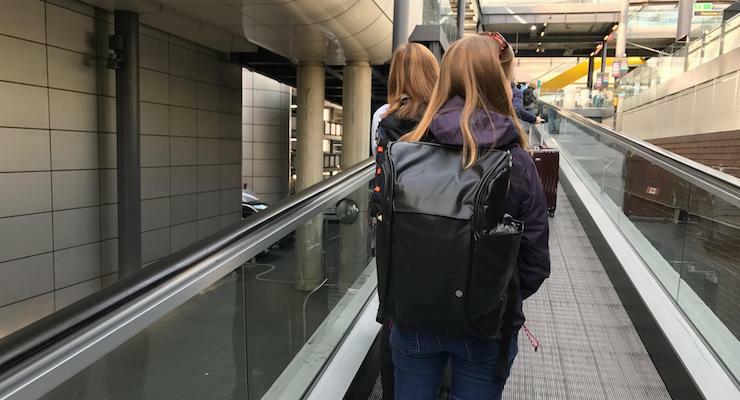 The bag is made of padded material all around, so it would offer better protection for a laptop than a standard backpack does. There’s extra padding around the back to make it more comfortable to carry, and the straps are adjustable. I found the material to be rather stiff and unforgiving on my shoulders. The exterior is made of a wipeable, waterproof material, except for the back section which is padded nylon mesh for comfort. Packing was made slightly lighter than usual for this trip because we were staying at our friends’ house in the mountains, and so could use their toiletries, plus I knew that they had spare pairs of walking boots which we could borrow. Below is a list of the stuff which I packed in the bag for my weekend away. Everything fitted in easily, and there would have been room for toiletries if I’d needed them. For the journey I wore jeans, a T-shirt, a jumper, trainers and a coat with zippy pockets big enough to hold my phone and passport. On the plane the bag fitted under the seat in front of me, which was great because I didn’t have the usual budget airline struggle to find a space in the overhead locker. My favourite feature of this bag is a very clever system called Terralinq. Each Booq Daypack has a unique serial number, which is shown with a barcode on a small plate on the back. You can use this number to register your bag for free on the Terralinq website, with the idea that it will help you to find it if you ever lose it. On the bag next to the serial number it says ‘IF FOUND PLEASE VISIT TERRALINQ.COM’, so hopefully kind finders-of-lost-bags will do just that! Booq also sent me a Mamba laptop sleeve with the bag. I didn’t need it for my trip to Italy, as I didn’t take my laptop, but I tested it out afterwards and my MacBook Air fitted inside it and it slotted into the bag’s laptop pocket perfectly. It felt oddly liberating travelling with just a small backpack, rather than wheeling along a suitcase. I think that the bag is practical and well-designed, and works well as compact hand luggage. I’m not keen on the colour of this particular bag – I never wear black – but it does come in various different colour combinations, such as navy and red or cream and pink. I really like the Terralinq security feature. The Booq Daypack and Mamba Laptop Sleeve are sold by Amazon in the UK and come in a range of colours. If you enjoyed this, here’s another which you may like: How to pack for an 8 kg luggage allowance. 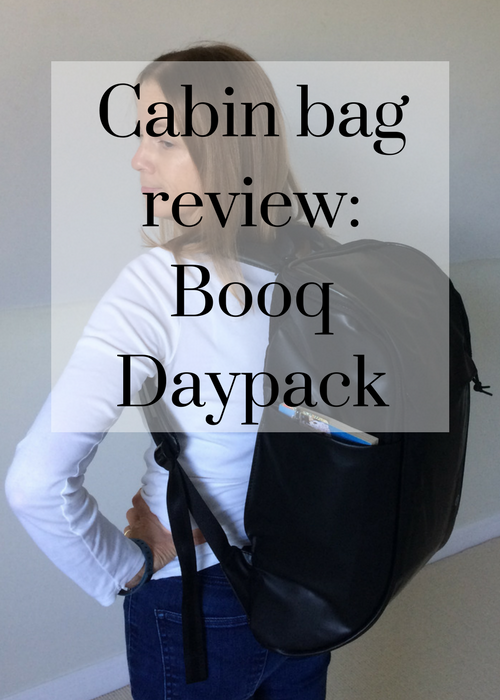 Disclosure: This post is sponsored by Booq, who sent me a Daypack and a Mamba laptop sleeve for the purposes of this review.